Every online publisher needs traffic to their site, but how do you get a steady increase of traffic each month? How do you even get traffic started coming to your site? Blogs automatically get traffic coming as soon as you make your first post. With a good ping list, each time you make a post to your blog dozens of sites are notified and traffic starts coming in. Therefore the first step in getting traffic to your blog is to post regularly. Posting once or twice a day is fantastic. Writing articles and syndicating them to article directories is a powerful technique to grow your traffic. Try to write at least one article a week (or have a unique article written for you), post it to your site, wait a week for the search engines to index it, and then submit the article to article directories. For a nominal fee SubmitYourArticle.com will submit it to hundreds of article directories, saving you a lot of time and effort. Social bookmarking is another very powerful tool. It takes less than a minute to submit your article to OnlyWire.com. Once submitted they take it and submit it to about fifteen other social bookmarking sites. Imagine if you bookmarked one article a day and submitted each to fifteen social bookmarking sites for one year. That would add up to over 15,000 backlinks for your one site! Incredible! But there’s even more you can do. 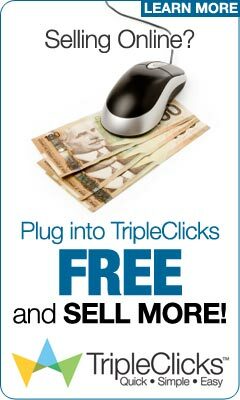 Pay per click, email marketing, viral marketing, and commenting in forums are all great ways to get more traffic. For instance, Answers.Yahoo.com is a site where people post questions and wait for an answer. For instance, if you have a site about dogs and someone asks about what to feed their puppy, you can post an answer and include your URL in the signature. As people read the question and your answer, some will click on your URL to see what else you might say about taking care of dogs. Track the visitors to your site by using tools such as MyBlogLong.com, Google Analytics, and the tracking tools found in your site’s cpanel under Stats. Google Analytics is a plugin for Wordpress. It takes a minute to set up and gives you vital information to help you focus on what your visitors want. By looking at your stats a few minutes a week you can see what articles are most popular, what topics are most popular, how long people are staying at the site, and what links they click on to leave the site. You can use this information to make changes to your site, increase the number of posts you make on popular topics, and anything else that will encourage people to stay longer and to come back. It is not hard to get traffic to a blog. Set aside some time each day to write an article or to post to your blog, submit it to the social bookmarking sites, and submit your articles to article directories. Follow these basic tips and traffic to your site should increase significantly each month.